Last night was our Gourmet Club's monthly dinner party with a Yucatan theme. The hostess selected recipes that were all from Rick Bayless. My assigned task was to prepare two of the appetizers. 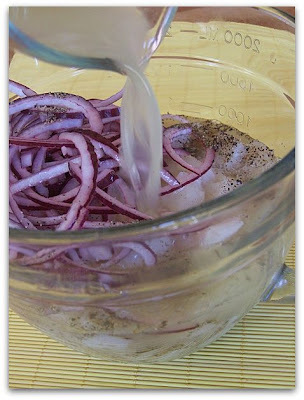 One I'll share today: Salt and Pepper Ceviche. I was a little nervous in making this one. I'm not all that big on raw fish, and I had never tried ceviche before. It's basically a nice, firm fish cut into small chunks that marinates in lime juice. I was reassured by friends that the lime juice actually chemically *cooks* the fish, and therefore it's not anything like raw. The friends were right... it's nothing like eating raw fish. 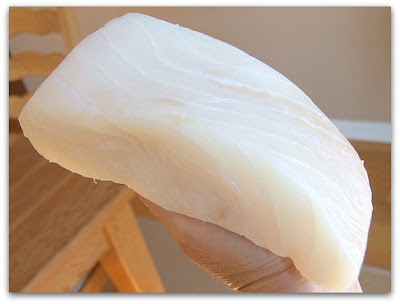 The halibut soaks up the lime juice and rids it of that fishy flavor. The texture becomes that of a cooked piece of fish albeit a little more firm. 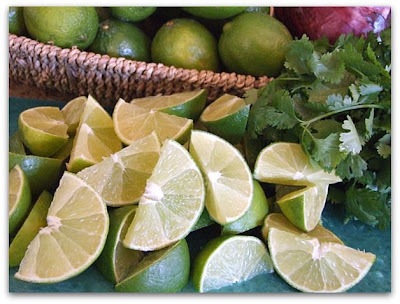 Add a sprinkle of red onion, chopped avocado, cilantro, salt & pepper, and then eat it up with a fork or tortilla chip scoopers. 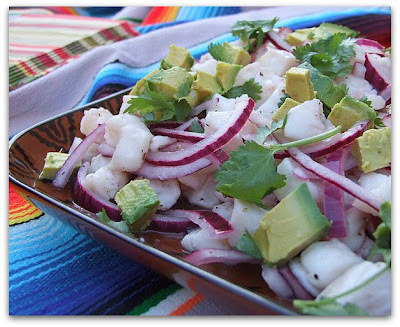 This uber-expensive ceviche was a big hit at the dinner party. Everyone gobbled it up and sang its praises. Thankfully, I can definitely say that it was worth the expense to see my friends eating it with pleasure! I've never watched Bayless' show but all of the recipes that we had last night were excellent. I'll share the menu and the other appetizer that I prepared in my next post. 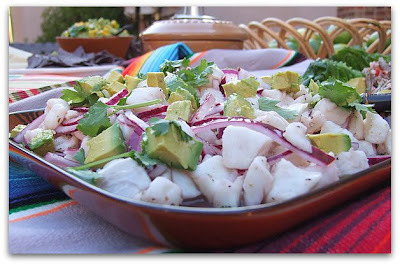 This recipe for ceviche can be found HERE.